Here we are in the final stretch of 2018. There’s still time to accomplish some of your main goals and objectives for the year, and most importantly build up momentum to kick off the new year fully charged and ready to make 2019 your best year ever. I’ve learned that the way you finish the year, will most definitely impact the way you begin your new year so with that in mind I’ve created a checklist to help you end the year productively and still enjoy the holiday season with family, friends and those you care about the most. Schedule Everything– This time of year it’s easy to caught up in the holiday frenzy. Holiday parties, friends in town that want to catch up, oh and yes there is still work that needs to get done in your business. Now more than ever it’s wise to value your time and how you are spending it. Do yourself a huge favor this week and take a look at the entire month of December. Plan your time effectively, work, non-work, family, events, shopping, charitable time, and anything else you can think of. Time has a way of getting away from us this month so take control of your days and weeks, before they take control of you. Create and Stick to a Budget– I heard a statistic that American consumers will spend one Trillion dollars- yes with a T- this year during the holiday season. Many retailers count on this next month to make or break their entire year. It’s no wonder that the retail industry has gotten really good at re-focusing your attention by creating “Visions of Sugarplums” in the hopes of getting all of us to over-spend. 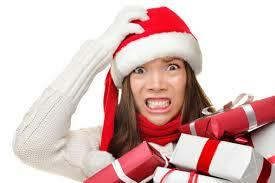 Plan to get your gifts early this year, put a cap on your spending and stick to it. Better yet, get creative with your gifts this year like the Grinch says, “Maybe Christmas doesn’t come from a store.” There is nothing worse that starting off the New Year behind the 8-Ball of unpaid debt. Control Your Alcohol Consumption– A good rule to stick by is one drink of your choice, then one glass of water (go ahead and dress it up with a lime and a straw, no one will think less of you) I also believe it’s best to stick with one type of drink vs. mixing and matching. Make sure that you avoid becoming the “cautionary tale” or “YouTube sensation” at your holiday party or event. Be Present-Where ever you are and whomever you’ve chosen to spend time with over the holidays make sure you are really there. No one likes being around someone that is always distracted, or constantly checking a smart phone for other things that are happening. Your family and your friends deserve the best of you so give them the amazing gift of your “presence” instead of “presents”. You may find yourself around friends or relatives that you haven’t really connected with in the past so take some time to get to know the person instead of judging them or comparing your life to theirs. Wherever you are BE THERE. Eat Some Healthy Food– Holidays are the time to indulge in those once a year treats at events and gatherings so don’t feel the need to deprive yourself of Grandma’s Sugar Explosion. Before you head out to those holiday events make sure you eat some healthy foods during the day. Filling yourself up with something of nutritional value prior to the holiday gathering will make you less likely to over-indulge while you are there. Unplug From the Matrix- You have heard me say this a thousand times, and I’m going to say it again. Shut off those smart phones and computers for a few hours and be “unavailable.” Disconnect from your virtual life and re-connect with your real life. Your business will not shut down if you take some time for yourself and those you say that you care about. Thanks and Enjoy the Holiday Season!